Fortress Pilings are fully composite piles comprised of structural fiberglass wound on a mandrel at precise angles and protected by a premium finish. 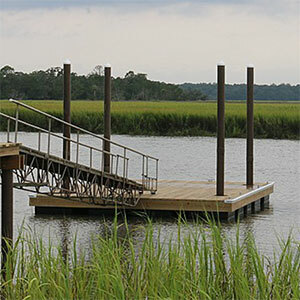 They are designed to outlast pilings of traditional materials and provide the most attractive finish available. 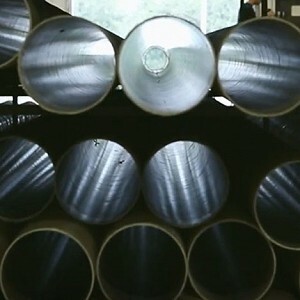 Fiberglass Tubing Supply puts to work our core expertise in composites. Because of this, we are your best source for Glass Reinforced Plastics (GRP), or Fiberglass Reinforced Plastics (FRP). The history of Centek Industries is basically the same as the history of marine wet exhaust in general. Way back in 1962 out of Boca Raton, FL, Vernay Products began what eventually grew to become Centek Industries. In the early days, pioneers in the industry like John Ford developed nearly all the critical designs used by boat builders and repair shops around the globe. 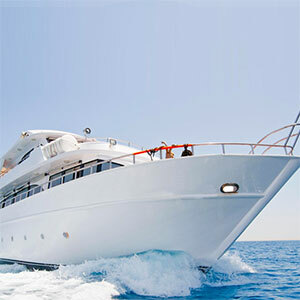 Over time, Centek grew to become the premier designer and manufacturer of marine exhaust systems. Today, Centek Industries continues its history of innovation and is now the umbrella company to three unique brands: Centek Marine, Fortress Pilings and Fiberglass Tubing Supply. We invite you to explore our websites and watch the video to see for yourself what sets us apart – People.